Ten years in designing, this one-of-a-kind piece is a showstopper! 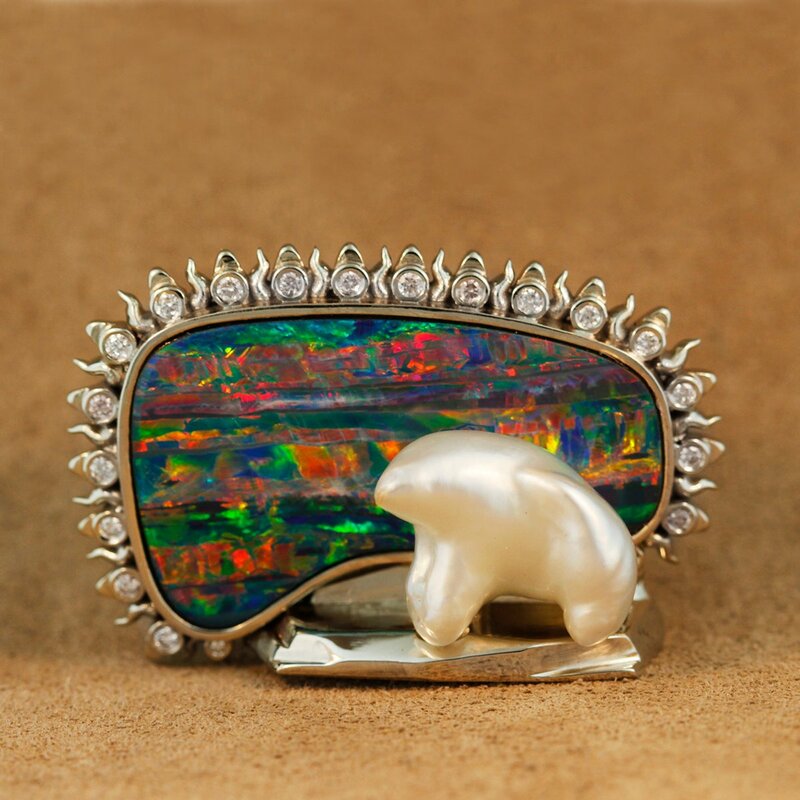 The polar bear shaped South Sea pearl is mounted before an impressive opal Northern-lights background with diamond accents. The white gold iceberg mounting has snowflakes on the back for the excluse enjoyment of the wearer. This exclusive piece can never be repeated.